Commander Charles Francis George Thomas Hallaran died on 21st March 1941. The Irish rugby international was serving on the Royal Navy's HMS Springbank. Commander Charles Francis George Thomas Hallaran was an Irish rugby international who played 15 times for his country. He died while serving on board HMS Springbank in 1941. Commander Charles Francis George Thomas Hallaran served in the Royal Navy during World War Two. Born in Ceylon on 10th June 1897, he was the son of Colonel William Hallaran, a surgeon in the Royal Army Medical Corps. Charles was an Irish rugby international. 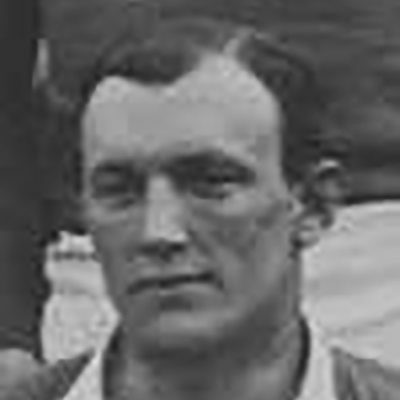 He played at club level for the Royal Navy, the Barbarians, and Surrey. Charles’ father William had played one international match for Ireland under an assumed name so his religious father would not know. Off the rugby field, Hallaran was also a champion boxer and a qualified water polo referee. In May 1923, Charles proposed to Anita Lindsay Sinclair. The couple married at St. Bernard’s Parish Church, Saxe-Coburg Street, Stockbridge, Edinburgh, Scotland on 25th February 1924. On 3rd May 1934, Charles married for a second time to Elizabeth Joyce Philpott, daughter of Reverend RG Philpott or College Precinct, Worcester, England. Hallaran died on 21st March 1941 while serving on board the HMS Springbank. A motorboat drew alongside the Springbank when a sudden swell washed a stoker overboard between the two vessels. I crave your indulgence that I may write a word in personal sorrow at the quick and untimely death that claimed by brother officer, Charles Hallaran – I had only known him a few months – short, as many of his friendships go – but in that time I, and all of us had come to rest upon him as the pillar of his ship’s existence. He had a sure sense of affairs and was an utterly loyal senior – a priceless man. In duty inflexible, in pleasure he was warm, and the widespread company of those who mourn him will testify to the gaiety and sunshine of his spirit. His tantrums were great – as tremendous as himself. He had a mighty joy in a row, whether he was right or wrong. What did it matter! all was soon blown over, and once more that slow and attractive smile would take the sting from any words of his. We his messmates miss him. We are leaderless. No greater tribute can we give than to say how hollowly we feel an absence where once, so lately, dwelt, such a massive presence. Fellow Royal Naval Officer – The Times – 4th September 1941. Hallaran climbed into the motorboat from HMS Springbank, jumped into the rough seas and swam towards the drowning man. He helped the man back onboard the motorboat but another heavy wave crashed in. Caught in the swell, Hallaran received fatal injuries to his skull. He died in the water before being able to reach the safety of the boat himself. This selfless act led to him becoming a posthumous holder of the Albert Medal for saving a life at sea. While living in England, he was the Superintendent of Ramsgate Marina Bathing Pool. Charles Francis George Thomas Hallaran’s grave is in Belfast City Cemetery, Belfast, Co. Antrim. A party of 60 officers and ratings attended the funeral. His coffin draped in a flag was carried on a gun carriage. Representatives from the Irish Rugby Football Union also attended the ceremony. If you enjoyed this post on "Charles Francis George Thomas Hallaran", please share with your friends and followers.